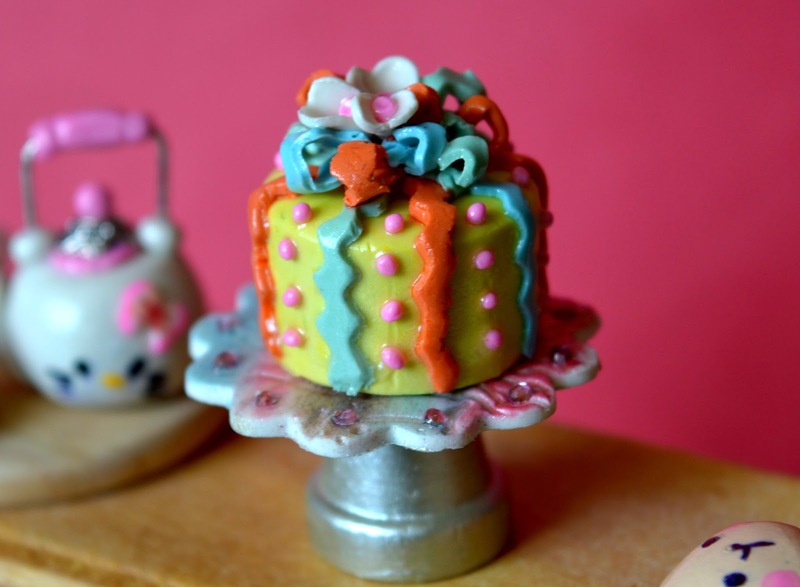 Here is a tutorial of how to make miniature cake from polymer clay. 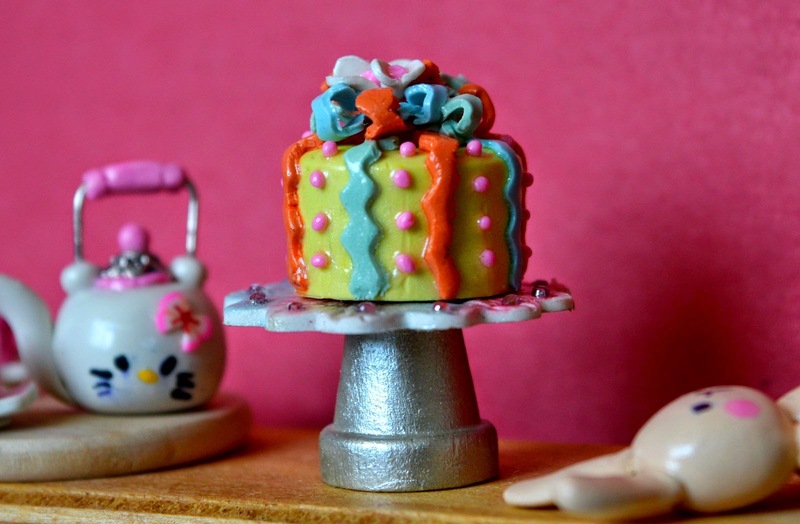 This is a simple way of making a miniature cake from polymer or air dry clays with a rather cute result. You do not need a lot of equipment and the tools I've used in this tutorial can be substituted by the other objects you have probably already got in the house. 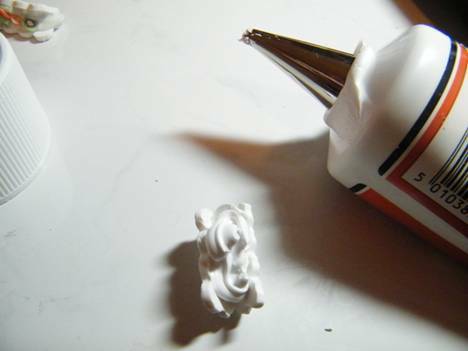 For example, if you have not got a crinkled blade you can just use the x-acto knife to cut the same pattern. 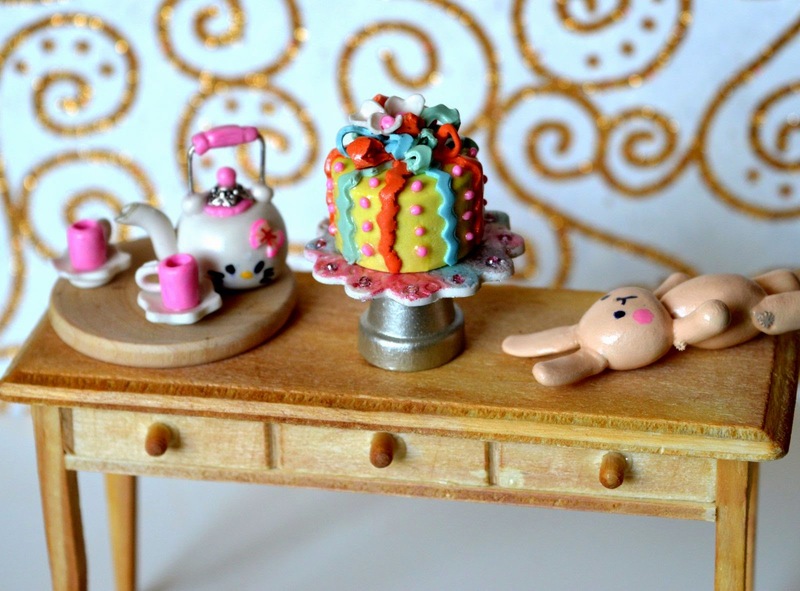 If you have not got liquid clay – not a problem, you can use PVA to glue not only baked polymer clay pieces together but also the unbaked decoration. In order to get “muted” or pale clay colour just mix white clay with the artist’ pastels. I have just scrapped the pastels with the knife and mixed it into the clay. The intensity of colour can be easily controlled. 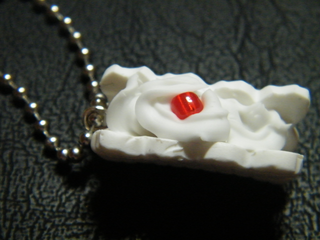 The hearts can be effortlessly made into the petals, just roll from one wide side to another. 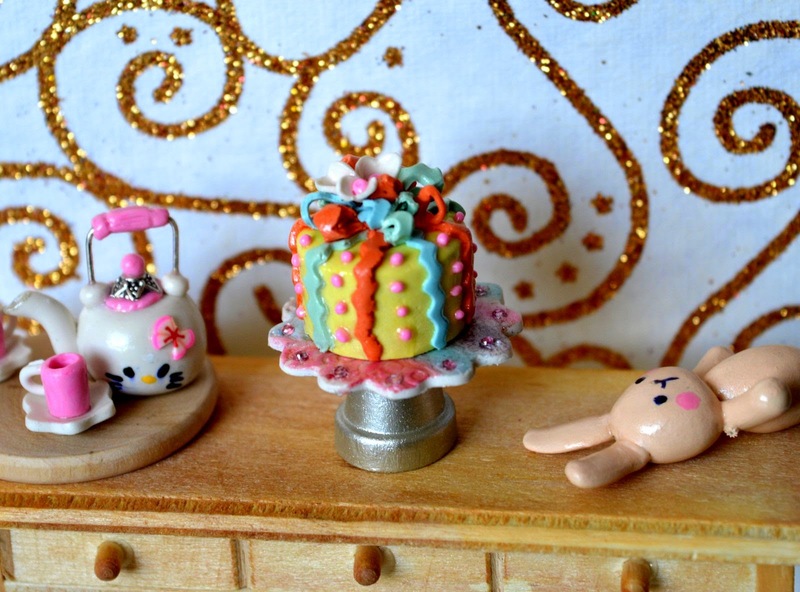 This cake is not just for a doll house, but can be made into a pendant, key-ring or even used for decoden. The choice is yours. Any questions please ask. And enjoy! This is my review for Chinese or Japanese language book about making cats from clay. The book is amazing and I would recommend getting it. In my video review you will see the whole book and I will show you a couple of my cats I have made from the book. Hope you'll enjoy! Jum ping clay review has been posted to my blog. I decided to share with you a few of my handmade spooky miniature witch labels. As you, probably, noticed I have used famous brands to re-create them. Please go to download section of the site to get these labels. I hope you had ... so far and will continue to have a great time this year. Actually, astrologists are saying that this year of a White rabbit (or a cat) will be positive overall. Let’s hope so! What I have got for you today? Well, I am still on the "wave” of witch and wizard theme dollhouse miniatures. 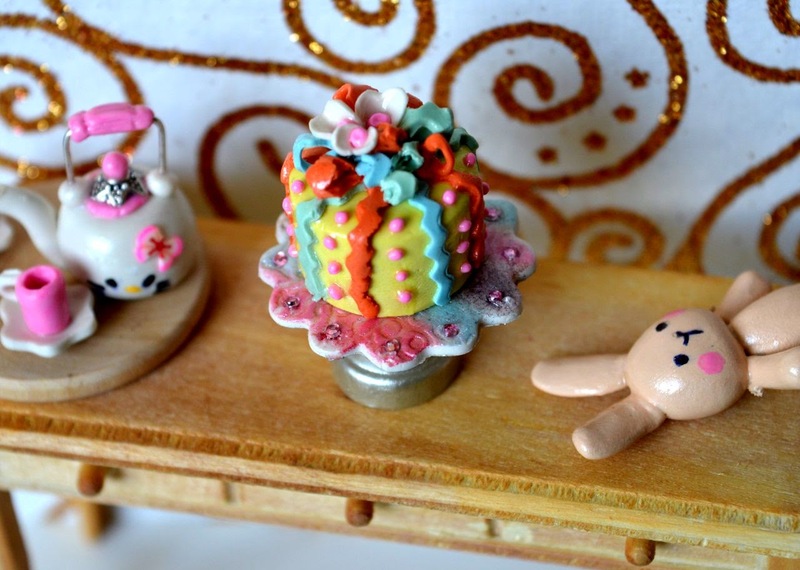 Please remember that all minis are handmade by me (ta-dam), so they are definitely full of positive energies. Leather bag miniature packed with tiny vials. Here is of of the teaser-picture. Sold.